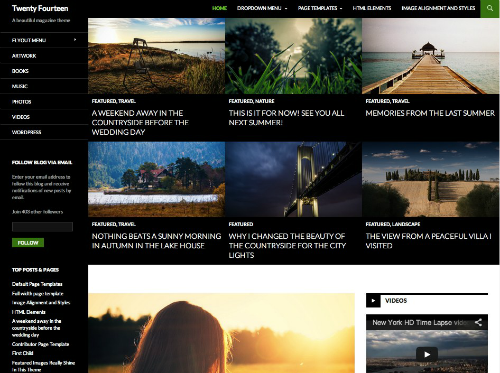 WordPress calls its 2014 theme a “beautiful magazine theme” and here at Matrix Group, we have to agree. We implement WordPress for many clients, not just for blogs, but also for microsites, campaign sites and publication sites. 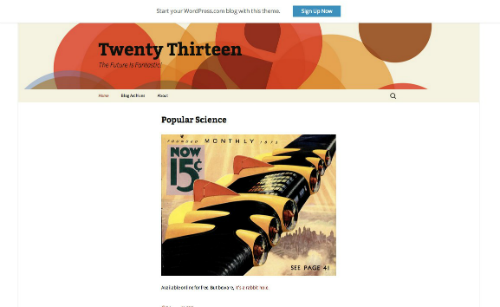 Here’s our review of the latest and greatest from WordPress. The best way to look at this is side by side and WordPress keeps demo sites available for their default themes, so let’s take a look. The very first thing you’ll notice is pictures! The 2013 theme looks positively old fashioned, with what has become a very stale image header and then a very plain text over white background content area. Now look at 2014. The first thing you see is pictures. Beautiful, large pictures in high contrast against the black background. This is what a modern theme looks like. Audiences react better to images and images really do sell your content. Where the display really separates itself is when you load it up on your phone. You can simulate a phone display by shrinking the width of your browser window, or just load up the above link on your phone. Now, both themes have responsive designs, but you see some immediate differences. 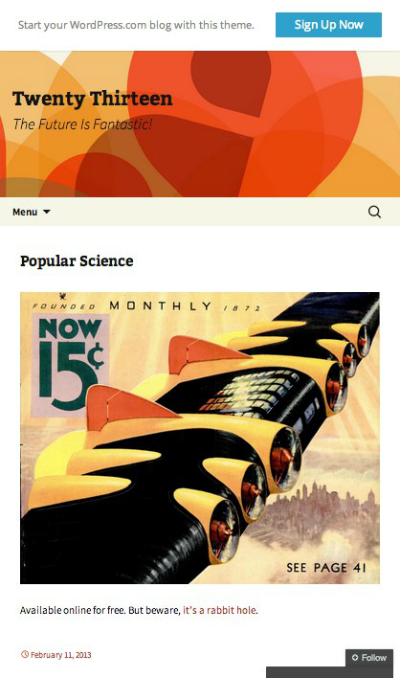 The 2013 theme is just a clean display of the desktop display, but the 2014 theme uses the featured highlight images as big buttons that are easy to see and, more importantly, easy to click. Using the whole image as the link to the post improves usability for people trying to click small links on small phones. These changes make the theme more modern, but when you look at it, what really ties this theme together is all the little details. It’s hard to put your finger on what exactly makes this theme so much nicer and that’s because it’s not one thing, it’s a bunch of little things. Navigation – the new theme puts all the navigation options on the left side, stacking them vertically to allow for as much room as is necessary to add categories, and links to archives and popular content. At the same time, it still supports additional utility navigation for pages across the top right of the header. Footer – the footer adds a lot of utility, expanding out the navigation, tags, and any other widgets you want to add in the available space. This theme is a huge upgrade over a series of relatively uninspired annual offerings from 2010 – 2013 and I hope people take notice of the updates to the most popular blog software available today. 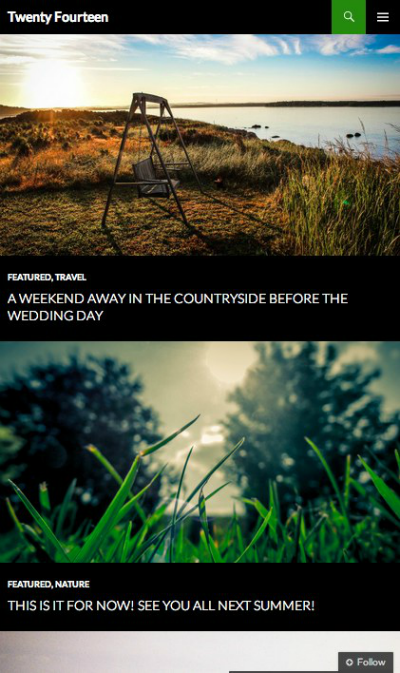 What do you think of the new WP theme? What theme do you use on your blog?